Tower tech, the best cooling tower manufacturer, designs fan less, fill less cooling tower. This tower does not contain any fan or fill used to cool the water and so it is called fan less and fill less cooling tower. The wooden louvers are used as the side wall of the cooling tower to restrict the water spillage. The outside wind passage enters into the cooling tower and act as the cooling media. The hot water it will be sprayed in the top of the cooling tower with spray nozzles. This cooling tower is economical as there are fans or fills are used. The best part is that, the maintenance cost of this cooling tower is very less. 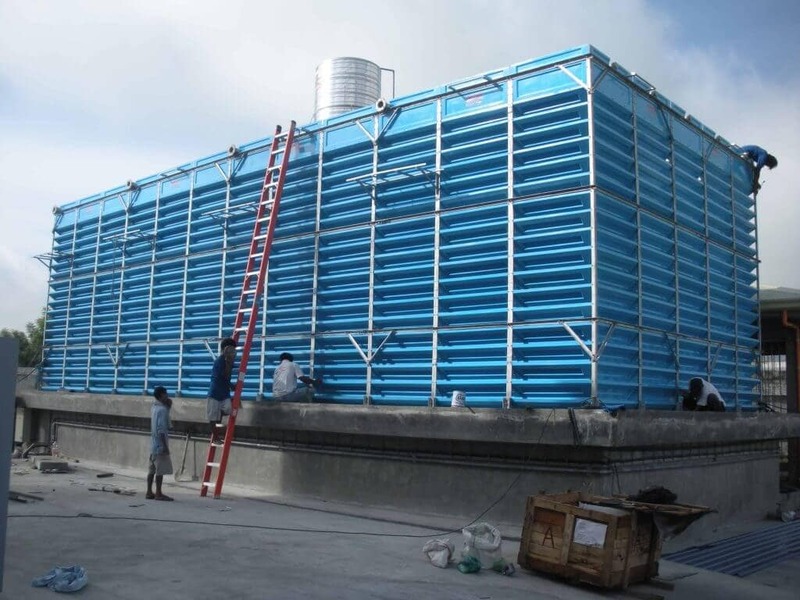 This is the best payback cooling tower while comparing to other types of the cooling towers. No huge amounts of noise will be produced when the cooling tower is functioning. This cooling tower is designed to meet all your industrial requirements. plant, steel rolling mills, process cooling, pharmaceutical plant, and more. Note: This cooling tower can be installed where the requirement of the cooling water temperature is not critical. The cooling tower water approach is higher and enough open space is available.